Probably, the word “ragù” descend from the French term ragout, the technique of slow-cooking small pieces of meat or fish. 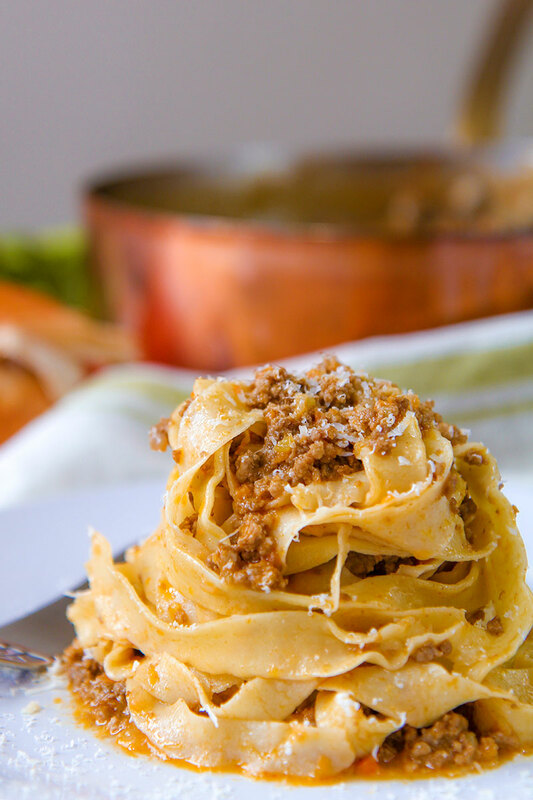 The Emilian cookbooks mention the Ragù al Bolognese since the XVII Century, but probably the recipe is more ancient. Initially, ragù hasn’t paired with pasta but served with bread slices or polenta. As I previously said, in Bologna the ragù is a severe matter, and it is responsible for several quarrels! 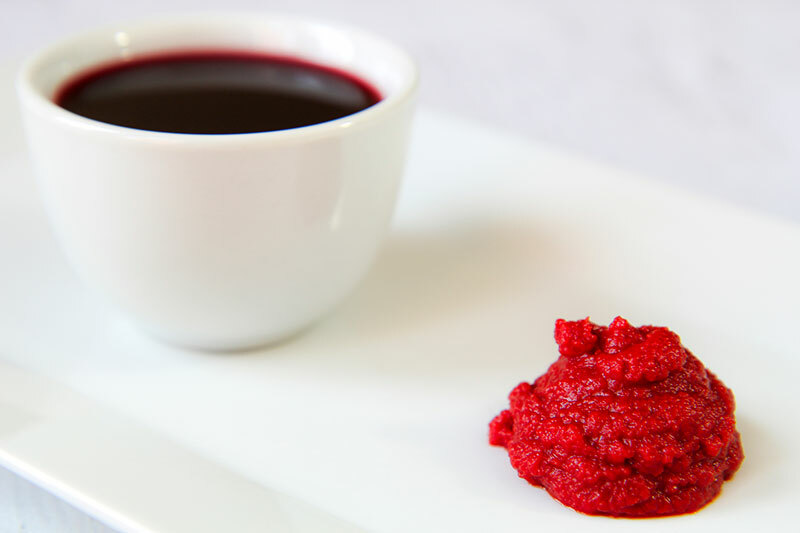 In the 1982, the “Accademia della Cucina di Bologna”, the association that preserves the local culture and traditions, has published an official version of the recipe. But, even this attempt hasn’t been ended the debate: in Bologna, every family is ready to swear that jealously keep the secret of the unique and original Ragù alla Bolognese! Choose the right kind of meat it is essential to prepare a great Ragù alla Bolognese. First of all, we need ground beef with at least 15% fat. Along with the beef, we need the right amount of quality of ground pork belly, fresh or cured, or a mixture of both. Starting to prepare an authentic ragù alla Bolognese, pick up the bottle of olive oil, put it aside into a cabinet, lock the door and forget it! In fact, the ragù does not needs any oil, but simply butter and meat fat. The traditional pot is made of terracotta. Alternatively, a copper saucepan or an enamel dutch oven are the best choices. If you desire to taste an authentic ragù alla Bolognese like in Bologna we do, forget spaghetti and tortellini! The most traditional pasta choices are tagliatelle and lasagna. Tagliatelle has prepared with a simple dough made with flour and eggs, thick less than ad a dime and 1/3 inch large. 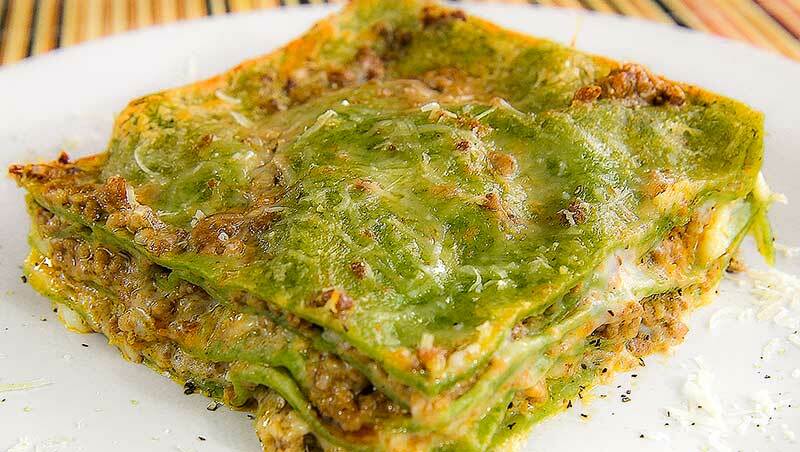 Lasagna dough is often green because minced spinach boiled inside the dough and made with seven layers of thin dough, alternating with béchamel sauce, Parmigiano Reggiano, and Ragù. For everyday meals dried short pasta is acceptable: rigatoni or gobbi are the best choices. In this case is traditional, but not mandatory, add an half tbsp of heavy cream at the Ragù before tossing the pasta. On the hills around Bologna is traditional to serve ragù alla Bolognese over speared yellow polenta, garnished with Parmigiano Reggiano cheese. 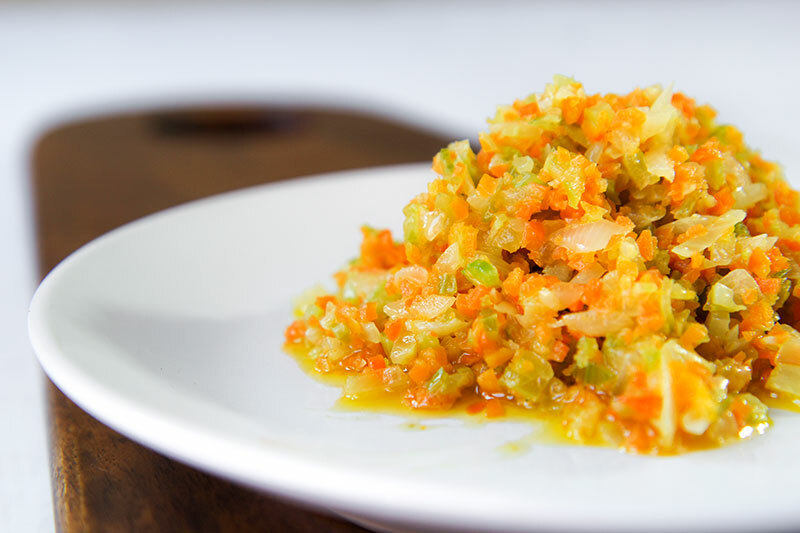 Currently, is not common serve ragù over bread slices, but it is tough do not poach some bread into the pot preparing this tasty sauce! Ragù alla Bolognese is one of the most important recipes of my own city, perhaps the most famous Italian dish in the world. Unfortunately, it is also the most mangling Italian recipe! For the Bologna’s people ragù is a very serious matter, more than can be expected! The preparation of this great recipe is very easy, but needs time, right ingredients and a very good thick-bottomed heavy pot. So, take your time and be prepared to taste something different than the ordinary international "Bolognese sauce". First, place a tick-bottomed heavy pot over medium heat. When the bottom is hot, pour the ground pork belly and stir-fry until all the liquid inside the meat is evaporated. Now, pour the grounded beef and cook until golden brown. Finally, pour the meat into a bowl and put aside, covered. In the same pot add the butter and let it melt over low heat. 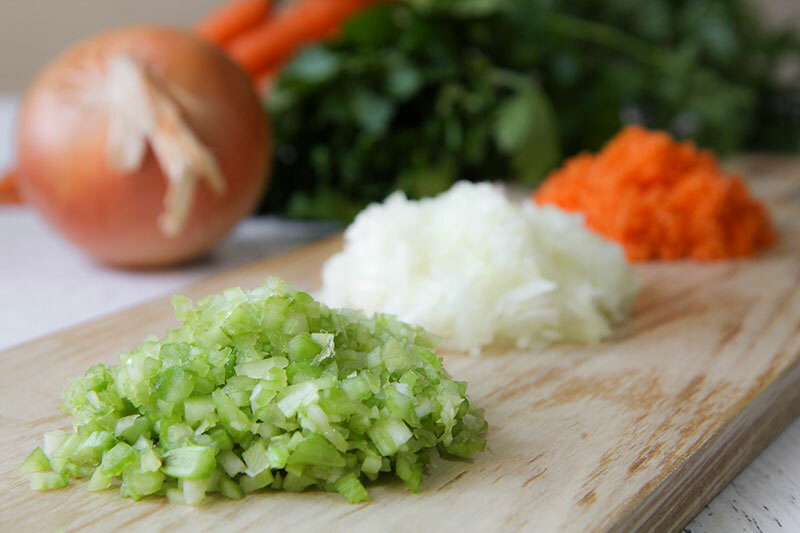 After that, add onions, carrots, and celery, all finely minced. Sautè over medium heat, stirring occasionally until all the vegetables are very tender and translucent. Finally, add the tomato paste and stir-fry 5 minutes more. When the vegetables are well cooked, add the meat previously seared. Raise the flame on high and pour the wine stirring frequently for a couple of mins. Finally, turn the heat down to low and cover the pot with a lid. Cook very slow for at least 3 hours, stirring occasionally. The ragù alla Bolognese have to simmer very gently all the cooking time. Add beef stock only if necessary. After at least 3 hours, when the ragù alla Bolognese is well done, pour the whole milk warmed and stir well. Cook 40 minutes more, stirring occasionally. Salt and pepper the ragù alla Bolognese just a few minutes before ready. Thanks for sharing this recipe – I just tried it and it turned out really really nicely. Two quick thoughts: I used roughly twice the measures as I was cooking it for a larger group of people. I had to add about 250ml of stock to it at the very beginning (right after adding the wine) as the wine was clearly not enough to “keep it afloat” for three hours of cooking. Also, after tasting the it after about one hour, I decided to add about 2 full Tbsp. of fresh herbs from my garden: marjoram, thyme and rosemary — all finely chopped. While this might not be part of the original recipe and orthodox representatives of the Bolognese cuisine probably won’t approve, I thought that it really brought the dish forward. Thanks again for sharing & all the best! The intent of this post is to make known the origin and the official recipe of Bolognese ragù. Said that, like the great Italian Chef Massimo Bottura love says, the tradition in evolution! My lifelong dream is to spend time in Italy and eat food prepared by Italian grandmothers. This recipe has to come close to what that will be like. In the last 40 mins do you recommend cooking with the lid back on or off? Commonly I go with the the lid back on, opening just the time to stir the ragú occasionally. But, if it seems too watery, the best choice is finishing without lid. The very important thing is let the sauce simmer very gently. A last note: if you need to cook it an half hour, or 1 hour more, in order to reach the right density, it is not a problem! Holy Cow! OMG! This was the best bolognese I’ve ever had. I made no changes to your recipe. I couldn’t believe how flavorful it was, light and simple. Just need patience. My husband absolutely loved it. Thank you for sharing. It’s been twenty years since I’ve been to Italy, but we have a local restaurant here that makes fabulous pasta. Both my husband and I are addicted to their ragu with tagliatelle. At 30 something a plate though, it’s not something we can justify often. We have some amazing fresh pasta makers local as well. So… all I needed was a great recipe that matched the taste of the one from our local place. I have a mental taste catalog, and I can often recreate food we eat out at home, so I knew what I wanted without a recipe, but I wanted a guide for proportions. This recipe delivered. The technique matched what I had in mind (sauteeing the sofrito, browning the meat separate then adding the vegetables separately), the ingredients were straightforward and the instructions and pictures perfect. I actually did end up following this recipe faithfully (not always the case) and it was fabulous! We have leftover ragu and I can’t wait. Whoa baby! This is spot on! Just as I had in Bologna! Thank you so much for providing the measurements in grams, that helped so much (I love weighing my ingredients). And your instructions were a pleasure to follow, like you were right there beside me describing each step one by one. THANK YOU SO MUCH FOR SHARING!!! Hi, I have no idea how to get ground pork belly! Any substitutions? I never tried to prepare the ragú without pork belly, this is a critical ingredient. I suppose you can increase the amount of ground beef or substitute the pork belly with ground pork. Plus, consider to add 3 or 4 tbsp of prime quality melted lard to maintain the smoothness and flavor. I can’t enjoy my favourite easy and fast spaghetti Bolognese anymore. The biggest mistake I ever made is going twice to Bologna and have a tagliatelle with Ragu. I went to several places and wherever I went it tasted like haven. I tried to copy your dish a few times with a slow cooker and with a pressure cooker but somehow I am a terrible cook and it always tasted like burned cat food. Can you please tell me that amount/measurement constitutes a ‘1/2 glass of milk”. Is is 4 ounces, 6 ounces or what? Thanks very much. Hi Robin, thanks for your question. 1/2 glass corresponds to 4 ounces. 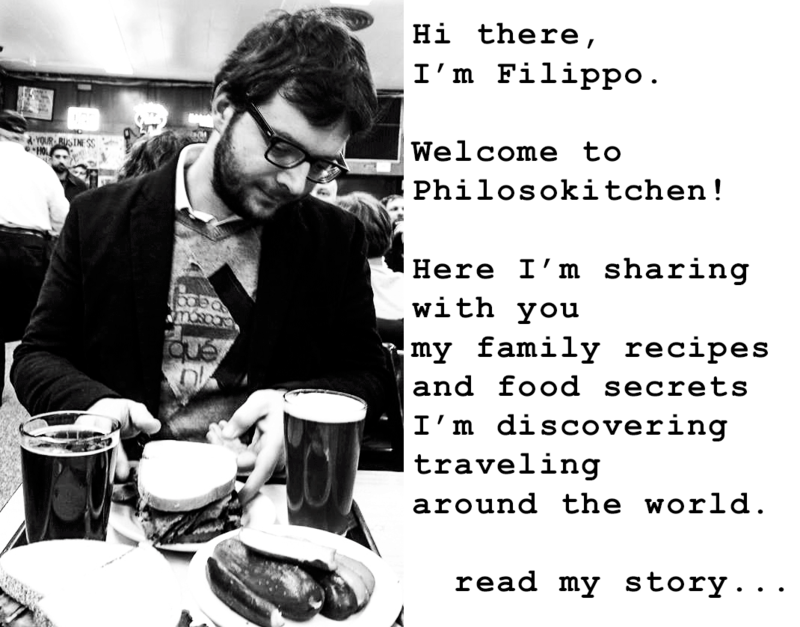 Hi Filippo! I made this and it was amazing! My family loved it! I’m having a dinner party and want to make this, is it possible to make it a day or two before I actually serve it? Thank you! I made this for my daughter and her family a couple of months ago. It was simple to follow along with the recipe. It was so delicious. I loved the richness. Thanks Trisha, I’m glad your family liked it! I plan on making this recipe in a few days for my husband! He’s a huge fan of bolognese. What kind of red wine do you use for this recipe? Will Malbec suffice? Malbec is a nice choice thanks its robust tannins. Actually, every good wine pairs good, depending on the final result you prefer: in Bologna someone opt for the strong San Giovese and someone else prefer the light and bubbling Lambrusco. Just avoid cheap vine. No onions? No garlic? No herbs? Honestly I don’t feel inspired to cook this recipe. This the official recipe of Bolognese Ragú, not a personal creation. The onions are in the ingredient list. Garlic and herbs are not traditionally used. 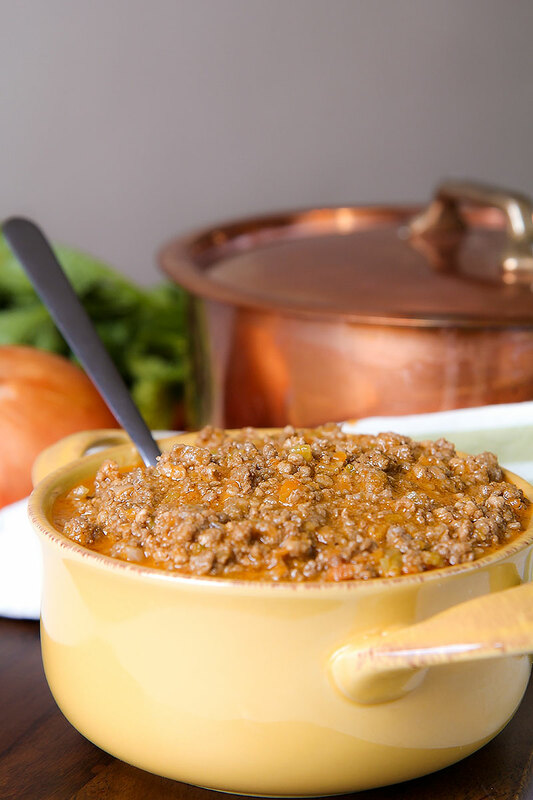 My post intends to make conscious of the authentic recipe plus some interesting tales around Bolognese Ragú, very different from the international Bolognese sauce. Said that, personally I think cooking is a mix of knowledge and creativity: once aware of the basis, feel you free to modify the recipe following your taste. What kind of wine would you recommend. I’m making this for my family tonight. I would to recomend a Sangiovese, but is not easy to find abroad. Chianti classico is another excellent option! Tried this for the first time today. Really easy and worth the cooking time wait as the depth of flavour is so much better than my normal Bolognese sauce recipe even though I used to give mine 2 hours simmering . Had with Tagliatelle and a lovely glass of red wine. Perfect ! Will definitely be using your recipe from now on.